Good morning from a wonderful Festival-Mediaval!!! 6000 Likes!! This weekend is turning into an over-the-moon fantastic time! Not only are we enjoying this amazing festival with friends (old and new) and some very good music, no, you guys just made this weekend even more special! WE REACHED 6000 LIKES YESTERDAY!!!! Thank you all soooooooooo much!!!! We celebrated this moment with a good glass of mead-beer and we will honor you all by giving you another day of music from Selb!!! Again, thank you all for liking our work through our Facebook page, we are forever grateful!!! It’s well passing midnight, too early for a good morning post, too late for a long post. 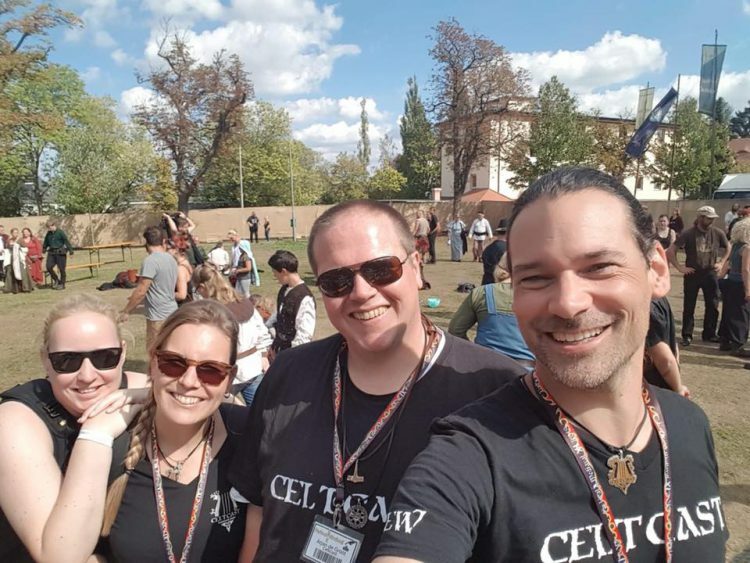 The CeltCast team is enjoying a little bit of quiet time and a bit of time to recover from an amazing festival day … tomorrow morning we will continue. Here are some pictures of tonight, more will follow….